After Berlin Buzzwords was over yesterday - and as there is an svn conference in the city that starts tomorrow, we thought we could easily put together a smallish Apache Dinner for tonight. 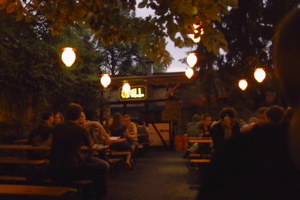 So Torsten mailed a few people, booked some space at Heinz Minki in Kreuzberg. We announced it at the end of the conference and invited people to join us. 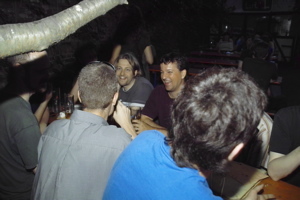 So after a beautiful day out I spent the evening with a bunch of Apache related guys and girls having drinks and great pizza: We had several svn committers, Greg Stein met us there - he arrived today for the svn conference. Of couse the usual suspects were there as well: Simon Willnauer and his wife, Torsten Curdt, Erik Abele, Thomas Wöhlke, Valerie Hajdik. 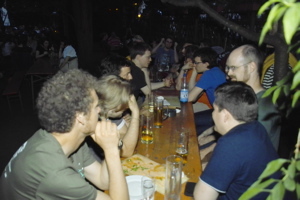 In addition we had guests from the Apache Lucene and Apache Hadoop communities: Sarah Sproehnle and Aaron Kimball as well as Uwe Schindler joined us. 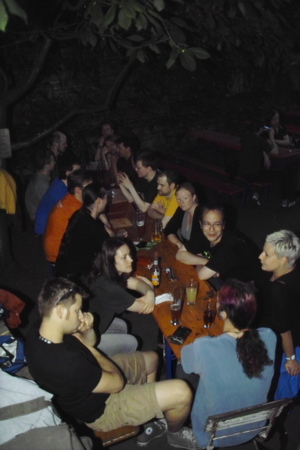 Thanks to Torsten for putting the meetup together. See you next time in July. If you are interested in joining our meetups: Subscribe to our mailing list.